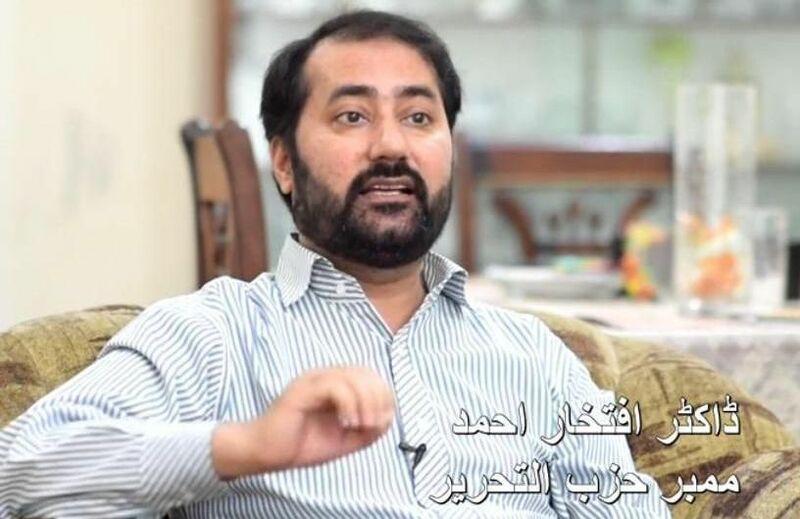 Having recently issued a request that residents of Islamabad report any distribution of the literature of Hizb ut-Tahrir to police authorities, the regime sunk even deeper in its suppression of Islam, through denying the imprisoned advocate for Khilafah, Dr. Iftikhar, an appropriate diet for a severe disease of the gut. Despite his repeated requests to the Kot Lakhpat prison authorities, Dr. Iftikhar is being denied rice to eat which is an urgent medical requirement for his condition, ulcerative colitis, to prevent further damage to his continuously bleeding gut. This is the low to which the regime has sunk to silence the word of truth against it and its masters in Washington. The Muslims of Pakistan can readily contrast the ill treatment of a noble Muslim, to the five star treatment that the American assassin, Raymond Davis, received whilst in the same Kot Lakhpat prison, before being whisked away back to America. Then, the previous agents of America rewarded the killer of Muslims, whilst today the current agents brutally punish those calling for the implementation of Islam, in a state that was established in the name of Islam. The regime's stance only exposes its own weakness and that of its colonialist masters before the Ummah. Indeed, the West and its agents in the Muslim World have failed to refute the truth of Islam and so have nothing left but to follow the example of Firawn, Nimrood and the Quraish. Drowning in frustration, blinded by arrogance, they unleash tyranny in an attempt to silence the believers. The Muslims today can see in their behavior that which is referred to regarding the hypocrites, who are promised the lowest levels of Jahannum (Hell). “[They are] as if they were pieces of wood propped up - they think that every shout is against them. They are the enemy, so beware of them. May Allah destroy them; how are they deluded?” [Surah Al-Munafiqoon 63:4]. Let the West and its agents drown in their frustration, for the caravan of the Khilafah is about to depart, imminently, inshaaAllah. The Ummah will see soon how the brave and righteous amongst the people of power will grant the Nussrah to restore the Khilafah as a shield over the Muslims by the permission of Allah (swt) and in accordance to the glad tidings of RasulAllah (saaw). Let them drown in their frustration, for the Muslims are assured by Allah (swt) that the oppressors will be vanquished at the height of their oppression. And their punishment in the Aakhira (Hereafter) is far worse! "گویا کہ یہ لکڑیاں ہیں دیوار کے سہارے سے لگائی ہوئیں، ہر (سخت) آواز کو اپنے خلاف سمجھتے ہیں۔ یہی حقیقی دشمن ہیں ان سے بچو، اللہ انہیں غارت کرے کہاں سے پھرے جاتے ہیں"
"ناانصافوں کے اعمال سے اللہ کو غافل نہ سمجھ وہ تو انہیں اس دن تک مہلت دیے ہوئے ہے جس دن آنکھیں پھٹی کی پھٹی رہ جائیں گی۔ وہ اپنے سر اوپر اٹھائے دوڑ بھاگ کر رہے ہوں گے، خود اپنی طرف بھی ان کی نگاہیں نہ لوٹیں گی اور ان کے دل خالی اور اڑے ہوئے ہوں گے"